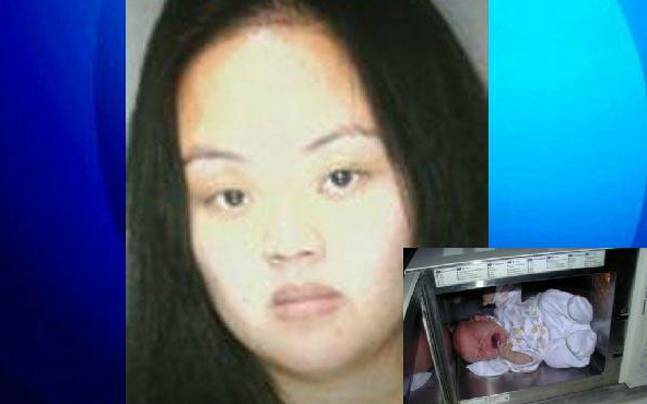 A woman named Ka Yang, who resides in Sacramento in California, was arrested for putting her one year old baby daughter, whose name is Mirabelle Thao-Lo, in a microwave oven for over 5 minutes and ultimately killing her. The baby faced severe injuries and ultimately died owing to intensive damage to her internal organs caused by the microwave radiation and extreme heat. Doctors told the jury that the baby probably experienced extreme pain as her internal organs gradually heated up due to the radiation. According to her lawyers, she was experiencing an epileptic seizure at that moment, and had no idea whatsoever about her actions. However, the jury didn’t accept these reasons. Although she had seizures before, according to the paramedics she didn’t exhibit any such symptoms when they arrived at the scene. Hence, she was arrested and charged with 1st degree murder. According to her, she had blacked out and was completely oblivious to the fact that her baby was in the oven. When the paramedics arrived, all that was left inside was a dummy.Some people claimed that she did this deliberately since she was angry with her child for distracting her during work. She has 3 more children, andis now facing a life sentence of at least 26 years. A similar incident had occurred earlier in Canada, when Elizabeth Renee Otte put her one month old child in a microwave oven and went to sleep. However inthat case, the jury accepted that she was indeed in a seizure and didn’t commit this crime deliberately. She was charged with 10 years of prison time.